Jethro’s twist on the classic caramelised onion chutney with dates to provide extra sweetness and a smooth moorish taste. A lovely topping for a cheese sandwich, ploughmans, salad, burgers or sausages. 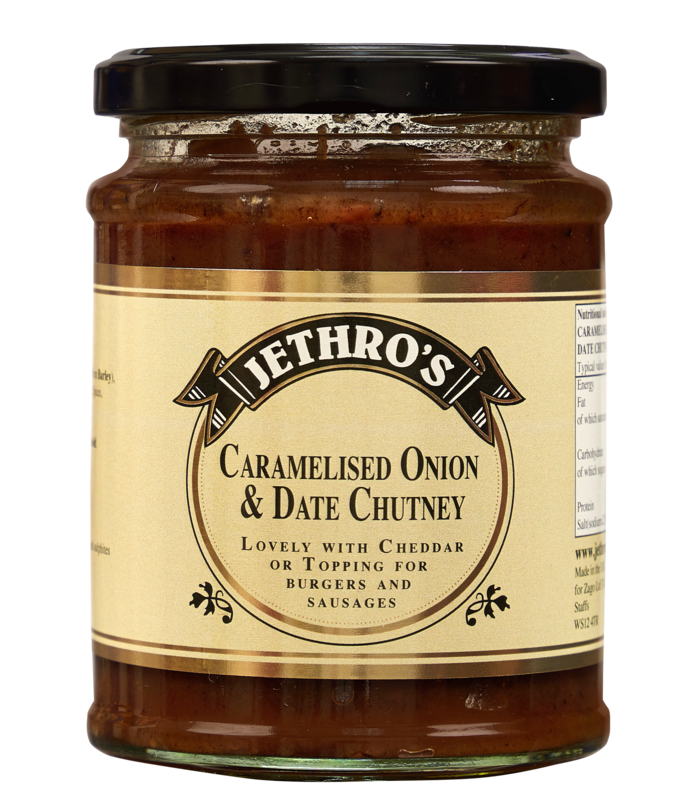 We’re sure you will love this chutney as much as we do.